Today, we see lots of designs and concepts when it comes to a door. To our everyday concrete experiences, almost a quarter of our time in a day (for most of us) is spent on opening, sliding, pressing a button, accessing, pushing and pulling every door we meet. Hence, we come across various kinds of doors, and various ways of opening them. Some doors are simple: pushing or pulling. Some are accessed by keys. Some are accessed by either voice recognition or by entering passwords. Opening doors are already part of our lives. But doors also offer these things: security, environment and surprises. Doors offer security for those who own them, in respect to the building or establishment – perhaps securing and protecting goods. Most of these are accessed by keys, and other complex methods, of course. Doors also offer a transition of environment from one to another, since doors may separate a section to another. It would be difficult to settle in an environment with clutters and mess around. Doors also offer surprises: just imagine a “birthday celebrant” who was actually surprised as he/she entered the house, seeing people cheerfully greeting him/her a “happy birthday!” Even though we are familiar with what’s behind every door, there is still half of what we know – and half of what we are to be surprised about! Then, what about this “door of faith”? For most of us accustomed to daydream (perhaps), we may ask “What does is it look like?” In the opening lines of the Apostolic Letter “Porta Fidei”, the Holy Father, Benedict XVI, leads us to a glimpse of what the “door of faith” is about: “life of communion with God and entry into his Church”. But what is interesting is that the “door of faith” is ALWAYS open for us! It is “interesting” to see a door that is ALWAYS open, and being CLOSED as such, is unheard of. What I reflect about this is that this “door of faith” is never a “closed-door policy”. In this sense, a faith that is committed to renewal in the spirit of the Lord is ALWAYS open. Hence, that “door of faith” opens us to wide avenues of living the opportunities of renewal of faith in the Lord. Closed doors always remain in limited perspectives. Living a “sense of faith” is never static; it aims to be renewed so that the “sense” itself is harnessed and sensitive enough to read the signs of times. Perhaps, this Apostolic Letter may be a firm response to the ideologies of our time, such as materialism and consumerism. Such ideologies are closed-door policies. These never saw the richness of man as free to live in faith. The thought that “the more I have is the more I am” or the figure “I = having” is mistaken. This thought only promises disappointment and discouragement. It fails to teach us self-acceptance. But on the other hand, being inculcated with the “sense of faith” teaches us self-acceptance because God loves us just as we are. God’s love is never a closed-door policy. 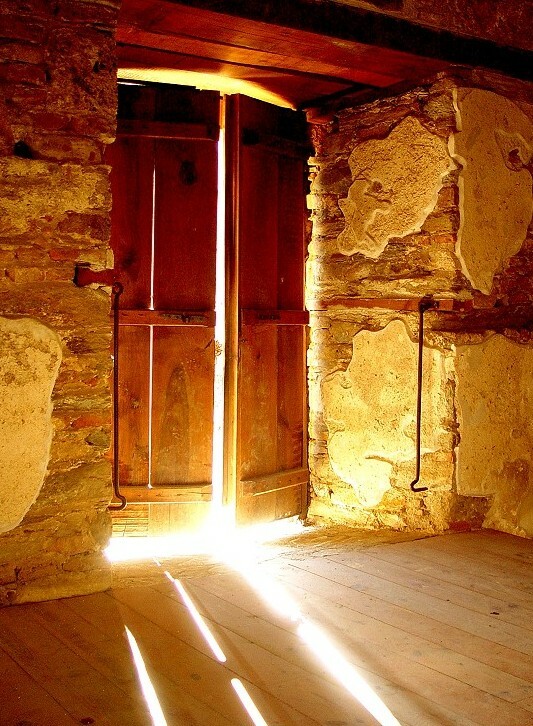 It is ALWAYS open – like that “door of faith”. Our vocation then is to respond with a “sense of renewal”. Faith is a life-journey. It is a given that we human persons commit mistakes, miss the mark, lapse often, and trip over. But to accompany a life of faith with self-acceptance makes a lot of difference. It brings us to a better “search for identity” because it is actually a “search for direction”. It actually brings us to a proposal of a paradigm of faith, at the same time, open and adventure-packed. As Pilgrim People of God, we ought not to miss this because this is exciting. In this way, faith is best appreciated when it is integrated into our everyday living. Then, it is enriched in entering the door that “ushers us into the life of communion with God and offers us entry into His Church”. The resolution? The “door of faith” is ALWAYS open, a journey, adventure-packed. God’s love is the love that accepts us who we are. For us, it might be challenging for us because of so many biases that we have. Admittedly, it is easier to let a door always open, than a heart that is always welcoming for others. But, once we hope for a better world for us, there is no other way but to be open and loving of others as they are. That is better perceived as the true and authentic progress. Nothing beats a heart that is embracing of others: for there is only one race that God knows: the human race. A heart that is always open is a heart that welcomes God himself. 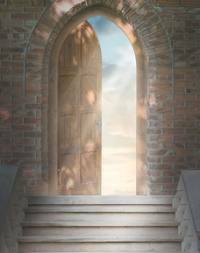 The door of faith…always open…faith lived in love of God and neighbor, a hope for a better world!